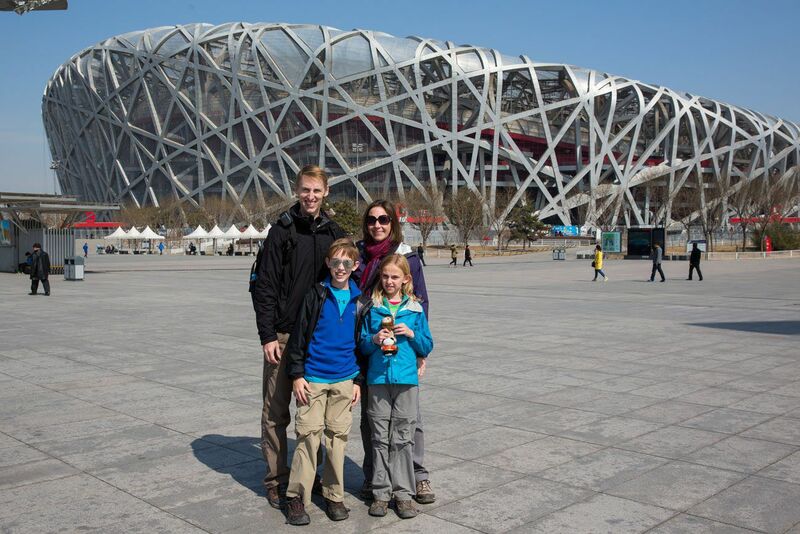 We had one wonderful week to spend in the city of Beijing, China. 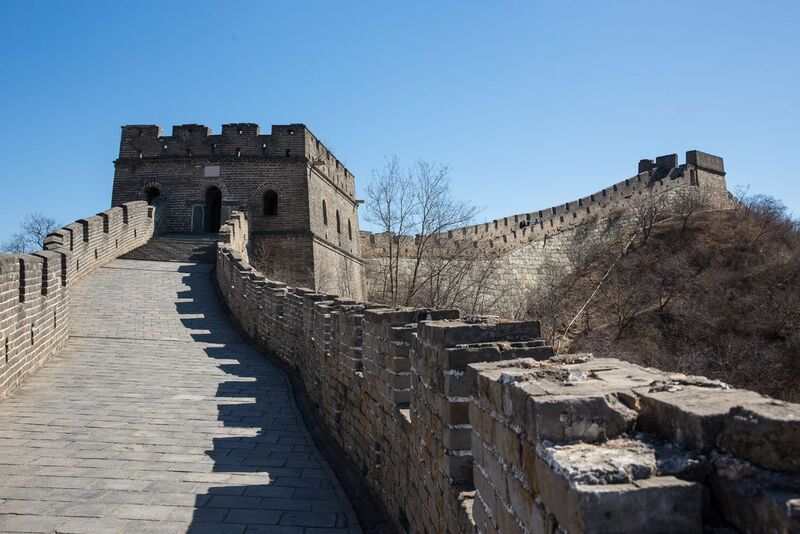 For us, this was the perfect amount of time to visit Beijing’s main sights, pay two awesome visits to the Great Wall of China, and have some quiet time at our hotel at the end of the day. 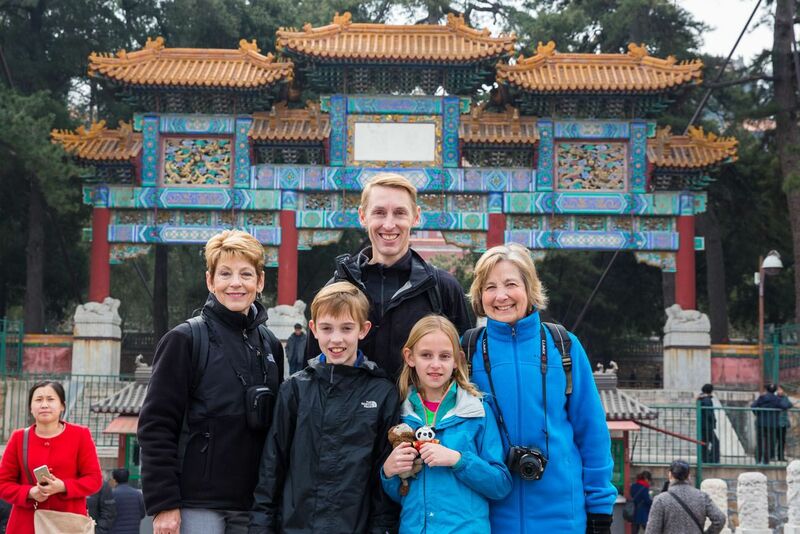 Our mothers joined us here, and from Beijing, Kathy and Valerie would finish our grand tour of China with us, ending in Hong Kong two weeks later. Since it was March, we had relatively good weather. Daytime temperatures ranged anywhere from 45 degrees to 65 degrees fahrenheit, as it slowly warmed up every day while we were in the city. Almost everyday it was sunny although occasionally we had days when Beijing was covered in its infamous fog. March was a great time to visit the city. There was never a threat of rain and temperatures were, for the most part, very pleasant. It’s off season for tourists, meaning most of the sights were uncrowded and wait times were very low. 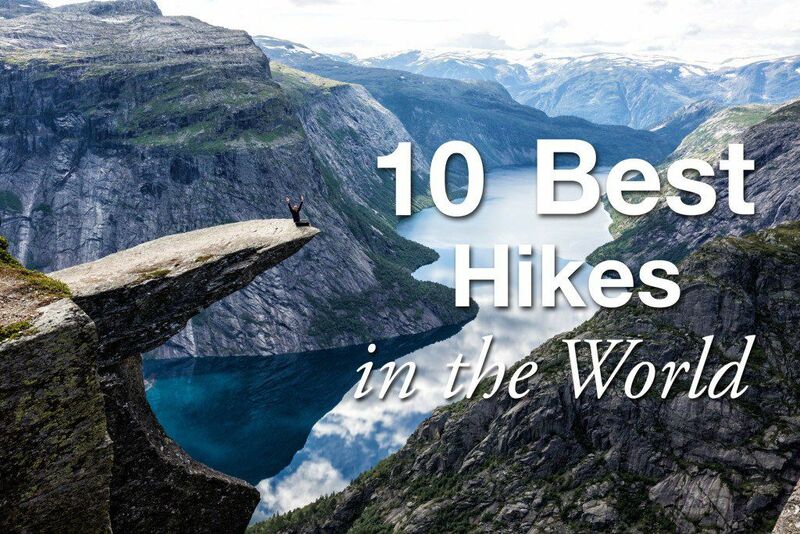 We did and saw a lot while we were here, and here are some of our favorite things. 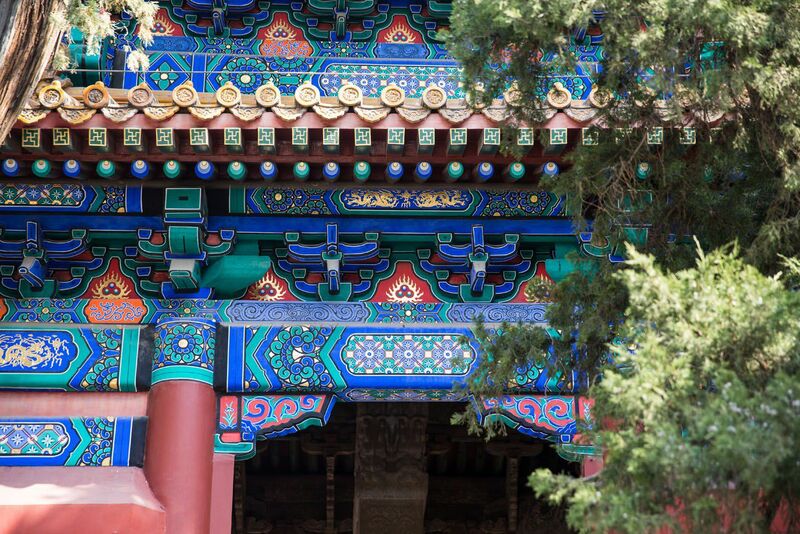 This collection of ancient buildings sits at the heart of Beijing. 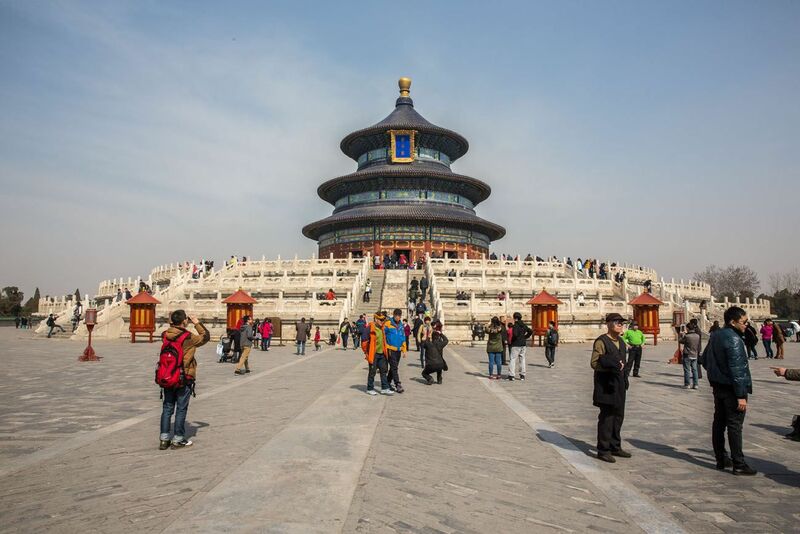 For visitors to Beijing, this place cannot be missed. Not going to the Forbidden City would be like going to Paris and never setting foot in the Louvre or Eiffel Tower. For 500 years this collection of buildings housed two dynasties of imperial rule and is the largest palace complex in the world. For me, when I think of Beijing, in my head I see images of the Forbidden City and Tian’anmen Square. Coming here was our introduction to Beijing. From Tian’anmen Square we entered through the Gate of Heavenly Peace. This is iconic Beijing. We spent several hours touring this enormous complex of palaces, temples, and smaller exhibits. 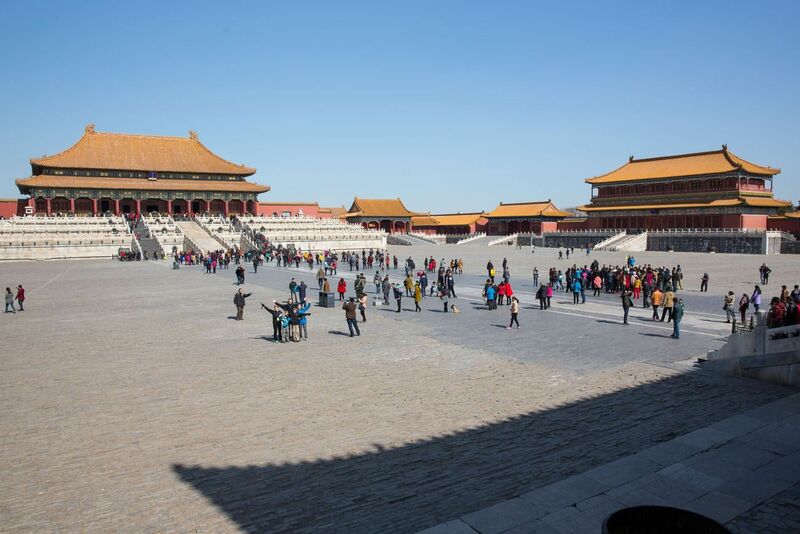 The most impressive view of the Forbidden City was of the large courtyard, seen from the Gate of Supreme Harmony. 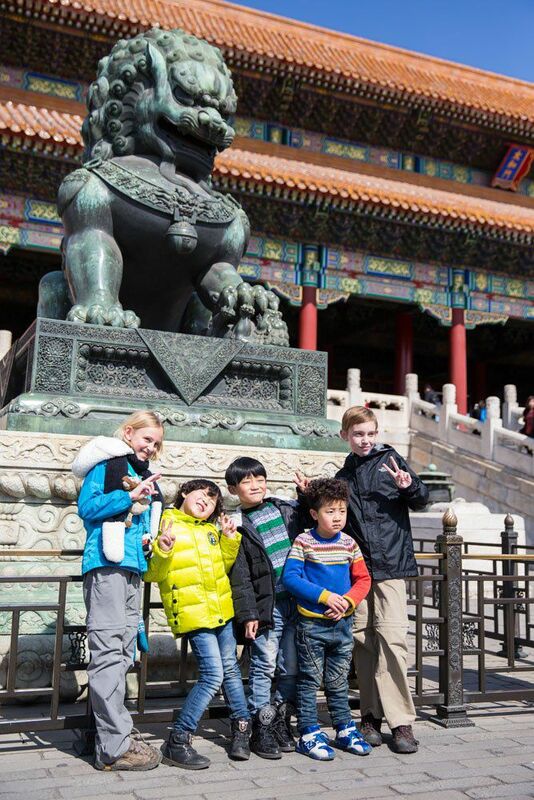 If taken slowly, a visit to the Forbidden City can take all day. Closing time is at 3:30, a bit early if you ask me, but this gives visitors plenty of time for dinner or other sights after getting their fill of this important historic sight. Our tour took us through the main sights…the wide open courtyards, several of the palaces, as well as to the Treasury Garden. Here we paid a little extra to get a view of the Nine Dragon Screen, a carved wall mural that was nice but maybe not worth the extra money. 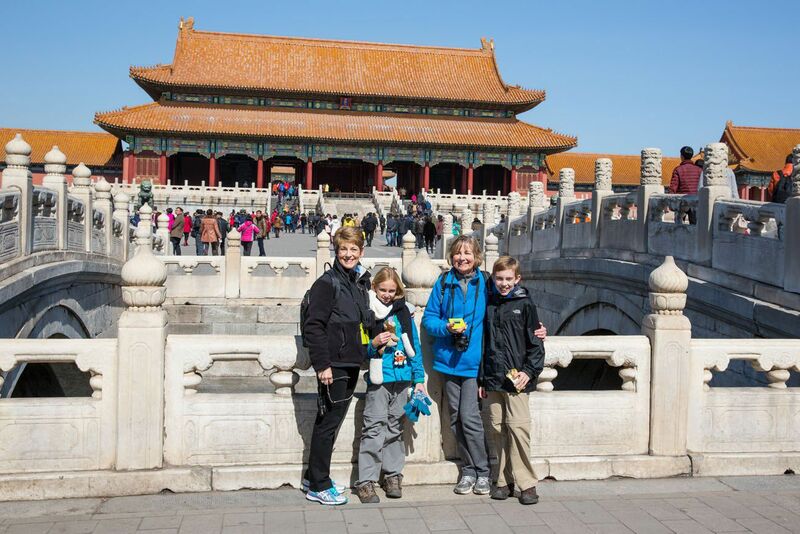 For us, the best part of visiting the Forbidden City was just being here and getting a chance to walk through this complex that is so important in Chinese history. 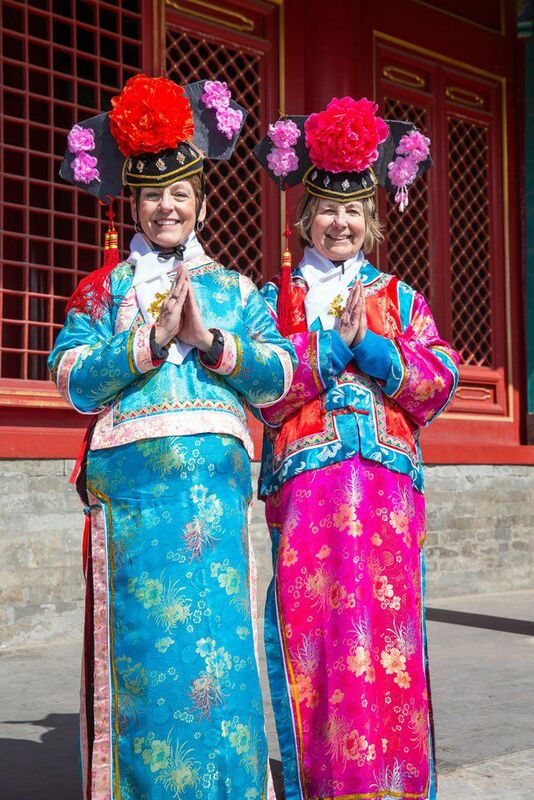 Valerie and Kathy got a chance to dress up in classic Chinese clothing, for a little fun and entertainment. Tyler and Kara’s celebrity status continued here, as they were approached many times for photos. 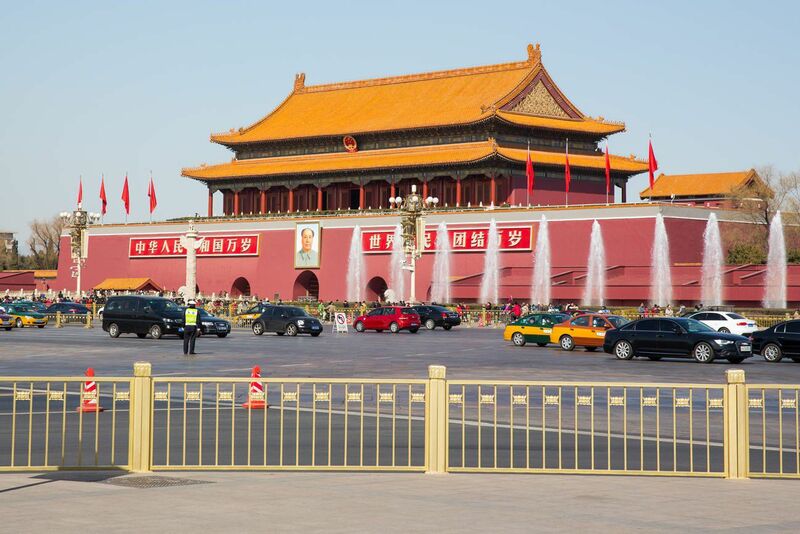 Tian’anmen Square is the world’s largest square and has been the sight of several demonstrations in recent history. The most recent took place in 1989. For seven weeks students and protestors occupied the square demonstrating for freedom of speech and freedom of the press. About 1 million people occupied the square at one point. On June 4, 1989 the conflict escalated into violence, when the military forcibly tried to remove demonstrators from the square. Between 200 and 300 people lost their lives in this protest, although it is said that none of these deaths actually occurred inside of Tian’anmen Square. 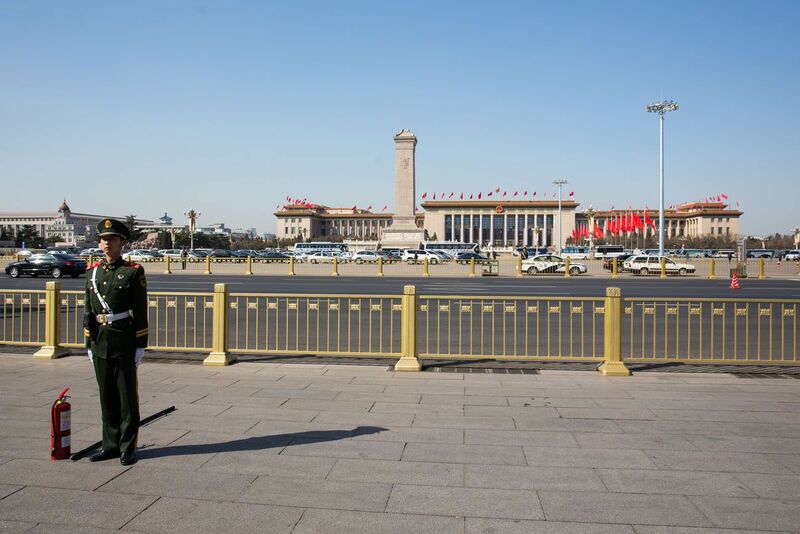 Nowadays, Tian’anmen Square is a huge area of paved road and sidewalks, heavily guarded by police and security guards. We were in Beijing during a convention and had to wait in long security checks just to enter and exit the square. We walked on wide sidewalks, alongside concrete, communist style buildings, on our way to the Forbidden City. There really is not much to see here now, but to think about the history that has occurred here is amazing. Our family is a huge fan of the Olympics and for us the 2008 edition was one of the best. Tim and I were just getting into triathlons and swimming and to watch Michael Phelps win the record number of gold medal’s in the Water Cube was amazing. We couldn’t come to Beijing without taking a peek at this very important piece of sporting history! In the Water Cube, preparations were under way for the World’s Diving Competition. 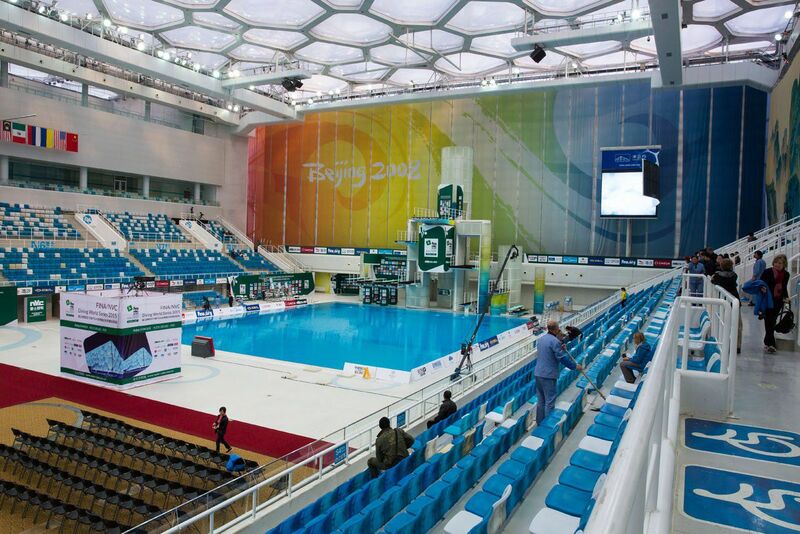 The Olympic Pool that received so much attention in 2008 was currently hidden under a carpeted floor, much to our dismay. At least we got to see the building where the magic happened and breath in its chlorine scented air. Maybe we will swim a little faster now?! It is said that one cannot visit Beijing without eating Peking Duck. I am always up to try new foods and this one sounded pretty good. On our first night in Beijing we sat at a Chinese restaurant with Mom and Valerie and ordered our Peking Duck. We watched as one of the chefs carved the duck, serving the meat to us on very small plates. For such a large bird we really didn’t get to eat very much meat. On our plates were small slices of duck, fat and skin in abundance. We dipped these small morsels into various sauces and sugar. Apparently the sugar helps break down the fat, of which these tiny bites were full of. This is not a normal dish for us to eat but I guess we enjoyed it. It was a been there done that kind of meal. Somehow, when I awoke the next morning, I could still taste the duck. I think I will stick with chicken! 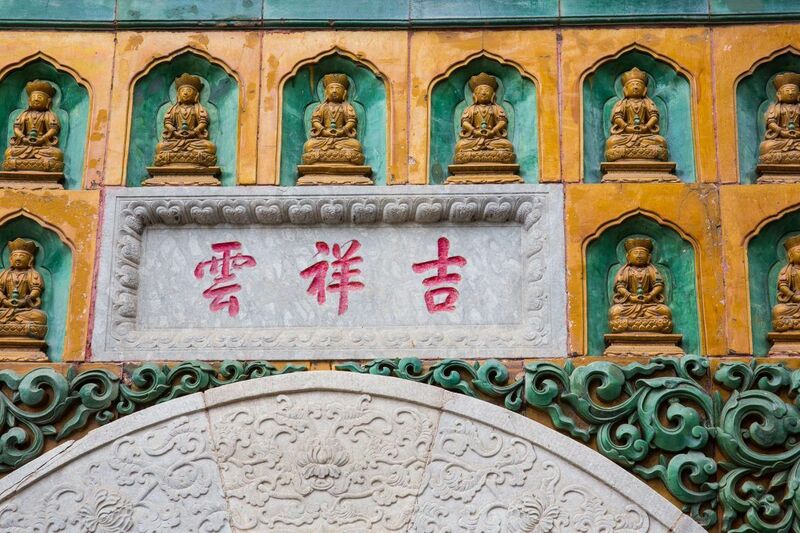 Like many other Asian cities, Beijing is packed with temples. 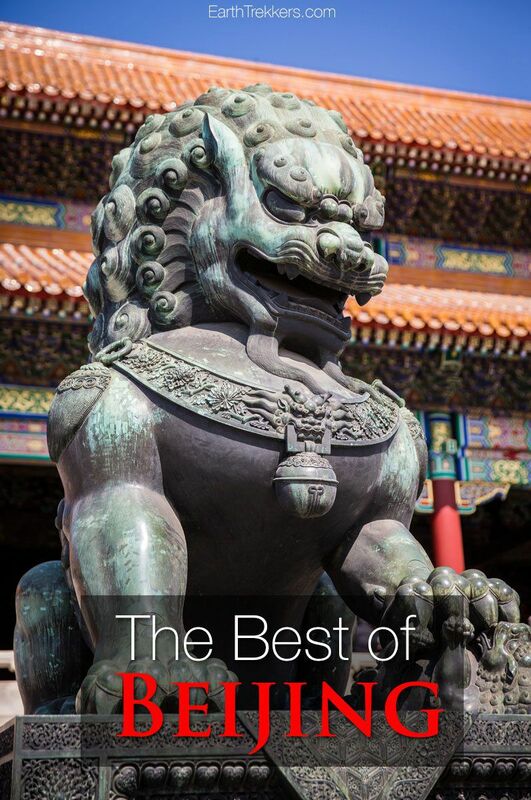 We picked what we thought were the best of the best temples in Beijing, the Lama Temple and the Confucius Temple. Fortunately for us and our metro hopping, these two temples are next door neighbors. 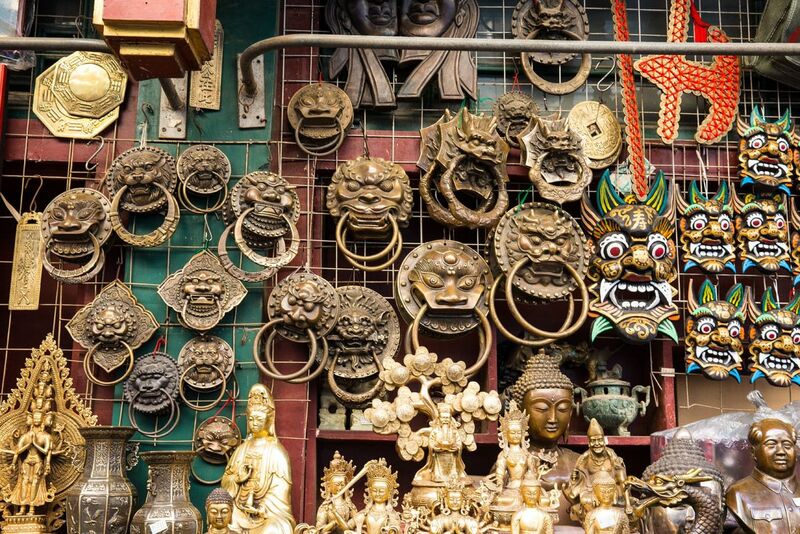 The Lama Temple is a large complex of Buddhist temples. There were tourists like us paying a visit, but mostly it was people here to worship. 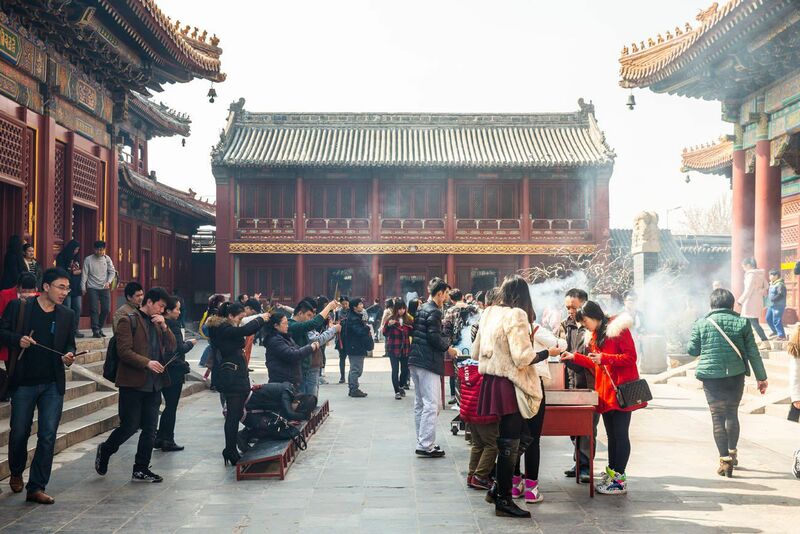 Clouds of incense scented smoke filled the air as people worshipped and paid their respects. I love the scent of incense and thought that this place was great. Groups of people walked from temple to temple, burning incense and praying, all very spiritual and very beautiful. The nearby Confucius Temple was much quieter and much emptier. This was my favorite of the two temples. Here we had peace and quiet, and for those of us who thought that the smokey Lama Temple was a bit too much this place was a lot more pleasant. This temple gets its own section since by itself it is such a large complex and such an important sight in Beijing. This may sound a little lame, but my first knowledge of the Temple of Heaven came with a visit to Epcot at Disney World. While making the circuit of the Around the World area of Epcot we visited China. The main display for China was this temple, a giant, circular temple. So, when I first laid eyes on this temple, yes, I felt like I was back in Orlando. 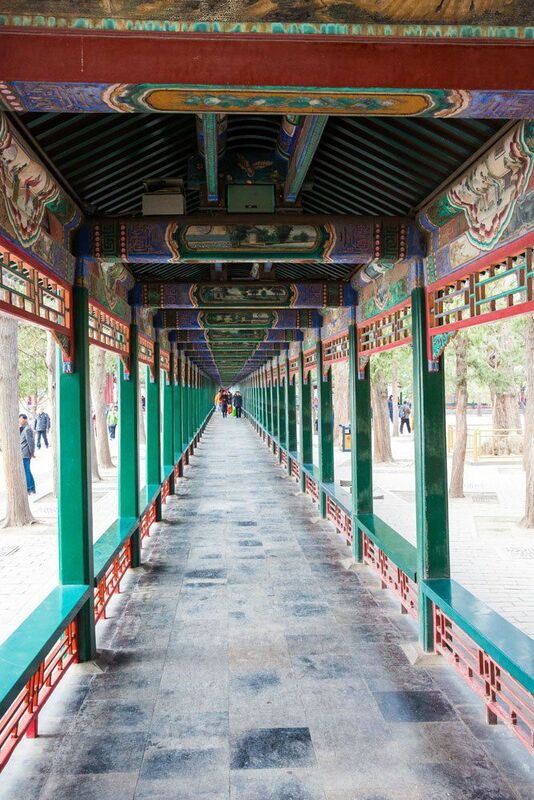 This temple is known as the Hall of Prayer for Good Harvests and is yet again one of those iconic Beijing sights. The 798 Art Zone is the Soho of China. Here sits a area filled with art galleries and shops, sprinkled with cafes and bars. It was an interesting stroll and a good break from sightseeing of palaces, temples, and Great Walls. According to Trip Advisor, Lonely Planet, and other sources, the Summer Palace is another one of those Beijing must-do sights. This was the Emperor’s escape from city life, similar to Versailles or Schonbrunn Palace. We were here in March, during a chilly, cloudy day. Trees were bare and not yet in bloom, not the prettiest time to be visiting this place. Honestly, we were not impressed. But come April and May, with warmer weather, green grass, and flowers on the trees, I could see how this place could be gorgeous. 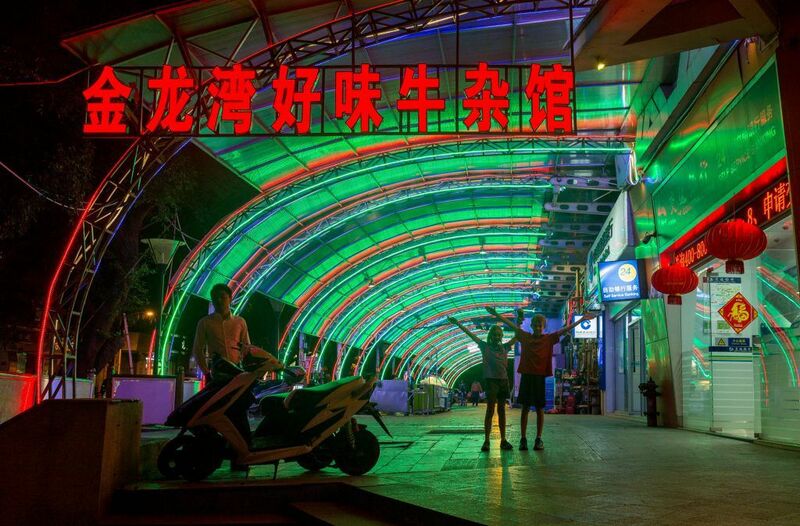 Beijing abounds with shopping malls and shopping districts. We paid a quick visit to Wangfujing Street, which is said to be the Champs-Elysees of Beijing. Just off of this street is a small pedestrian street, filled with shops selling the typical Chinese souvenirs as well as many delicacies such as cockroaches, crickets, and scorpions. We did not partake of insect eating this time, having had our fill in Cambodia and Thailand. 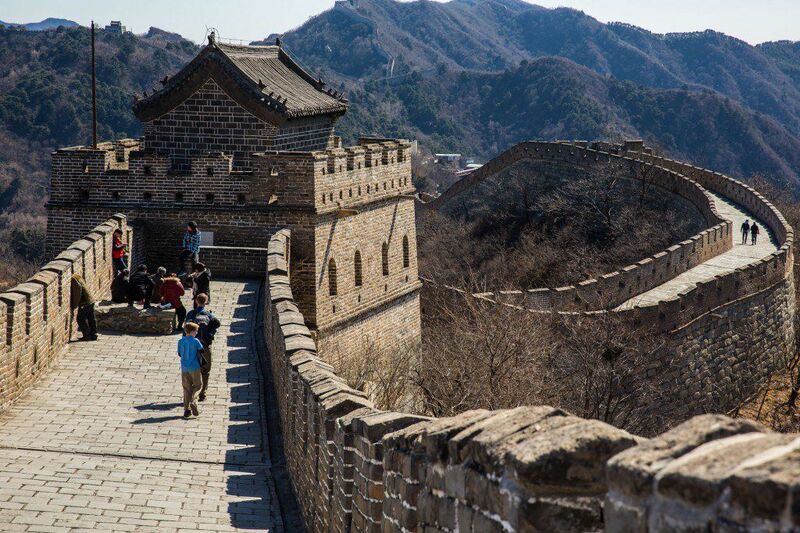 Another must do while visiting Beijing is to see the Great Wall of China. 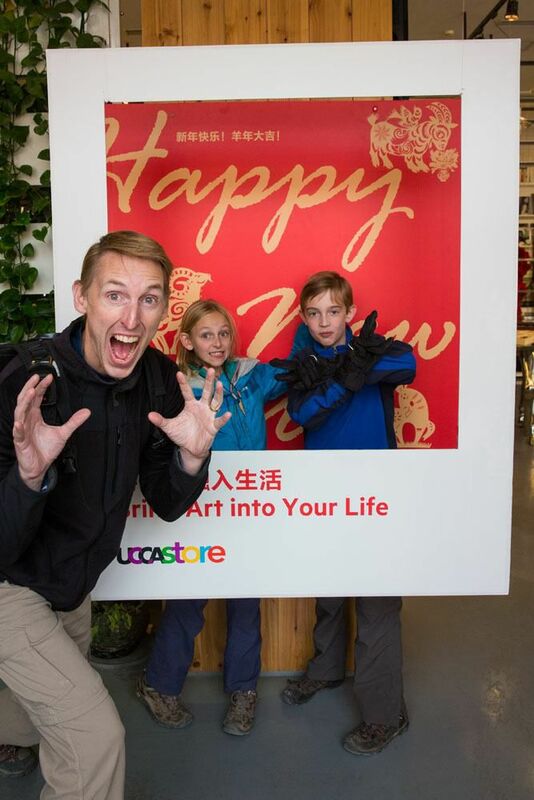 This has already been covered extensively by two previous posts as it was our family’s highlight while in Beijing. 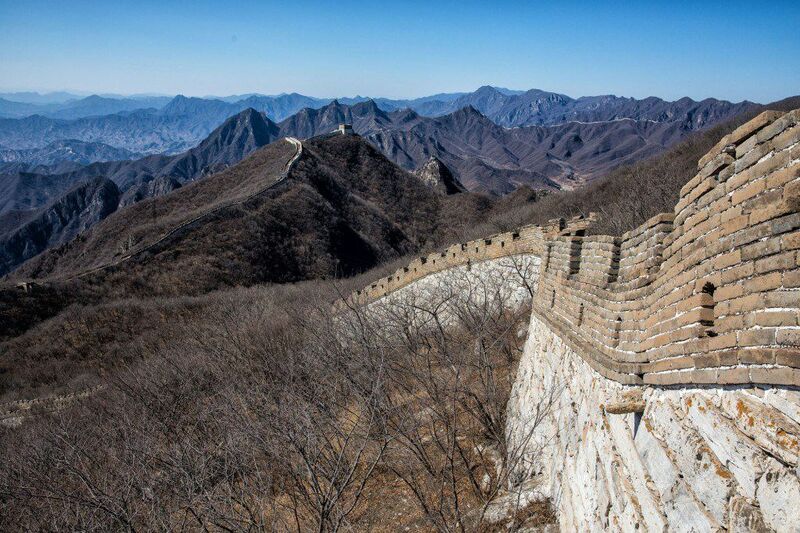 We were lucky enough to visit both the Mutianyu and Jiankou sections. We spent 8 nights at the wonderful Michael’s House. This place was awesome. Michael’s House is a small hotel, with only twelve rooms for guests, all centered around a central courtyard. The hotel was quiet, comfortable, and very cozy. It was here that we met Celine, a lovely lady whom we already miss dearly. 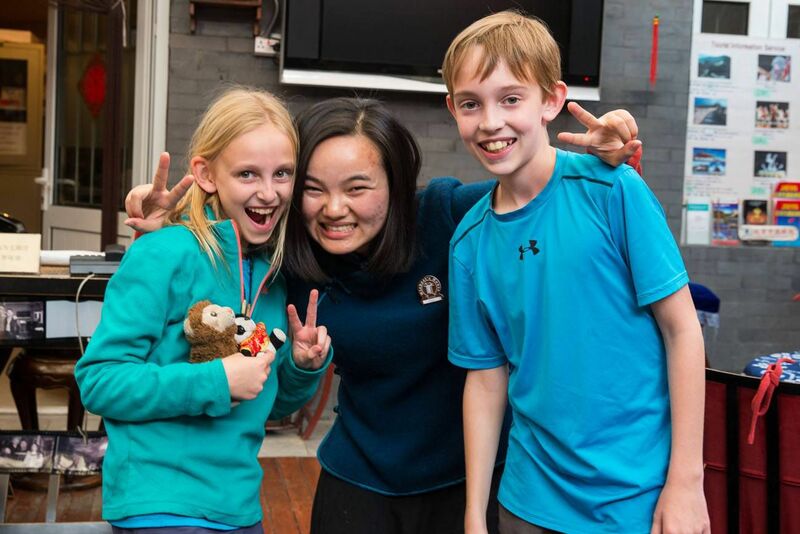 She was a huge help for Tyler as she taught him more Mandarin and helped boost his confidence level when using his new skill. During our stay in Shanghai all six of us really missed Celine and Michael’s House. 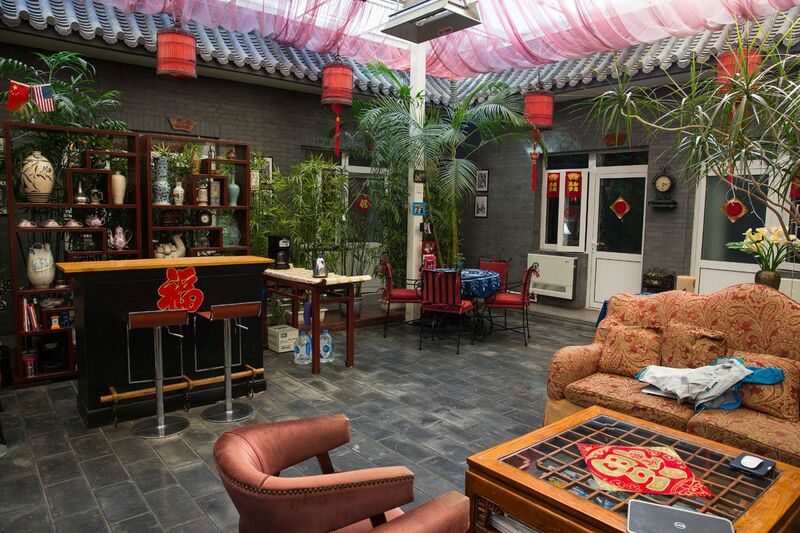 This is a hotel I would highly recommend to travelers to Beijing. I would not hesitate to stay here again. Thank you, Yin Jun Li! Loved browsing through your posts from China. I have been thinking of visiting China but it does look like a scary place to visit especially with strange food and language issue. I was wondering what was your exact day-wise plan and if you plan to post your itinerary…. Oh that’s great!! Thanks for the information , Julie! One quick question in terms of peanuts allergy, did Tyler try the peking duck? Staring at the screen of the computer and read each word and enjoyed each pic that remind me the good times we spent together at the Michael’house Beijing,can not help miss you,Mr.Rivernbark,Taylor,Kara(Sinba,Pao)Valeries and Mrs.Younkin!that s why I keep checking this website everyday and following you by reading every scripts!say Hi to everybody and Hey Taylor:Ni Men Xian Zai Zai Na Li?Wo Shi Yin Jun Li,Wo Hen Xiang Ni Men! I have found it so refreshing to see the many different scenes from all over the world you have sent. From what a “stay-at-home” person like me sees on the news, one would think every part of the world is so sub-standard to “our” world here in the US, especially now being somewhat isolated here in our wonderful new hometown, The Villages, Florida. You’ve seen and shown us some truly beautiful parts of the globe. Thanks from one of your many followers. Linda and I will be anxious to here all the stories and details Val will have when she returns from her second excursion with you. FAB!!! Love your travel journals!! !